Situated on Isidis Planitia at 10o N, 270o W, Beagle Dome Complex is well known as a centre of science, art and culture. Its impressive Central Dome is named Pillinger [PDF map], and among the many attractions found there are numerous public green spaces, the prestigious BC Hotel, several art galleries and a plethora of unique stores [PDF guide]. The architectural wonders of Beagle range from the stunning semi-lucent façade and eye-catching brickwork in greeny-blue shades of Beagle College, University of Mars, to the imposing red crystalline dome of the Beagle Museum, situated in its own park, which houses the original Beagle spacecraft, accommodated in a place of honour within its own wing. With numerous and varied types of accommodation, from small hostels and privately-run guest-units to hotels in Central Dome, Beagle provides for every visitor. Our art galleries, sports and recreational facilities, fine restaurants and small bistros and numerous stores provide plenty to choose from. Beagle's Central Market at the end of Henry Street is an underground wonderland and open every sol, or you can pick up an original piece of work from the many stores on Artisan Square and then find a ride to any of Beagle's main sub-domes of Darwin, Bruno, Mendel and Wallace, which are easily accessible from Central and have many additional amenities. 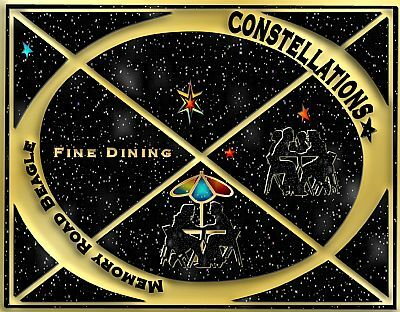 Along the wide Avenues out of Beagle Central are a plethora of stores, restaurants and other facilites to cater for every need, including the stunning Constellations. 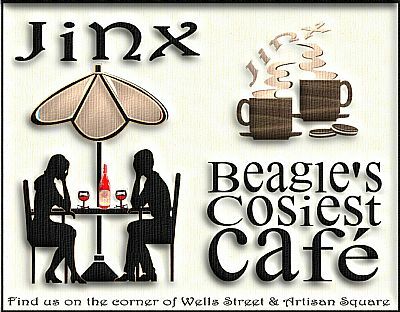 This page is proudly sponsored by Jinx, Beagle's cosiest café.